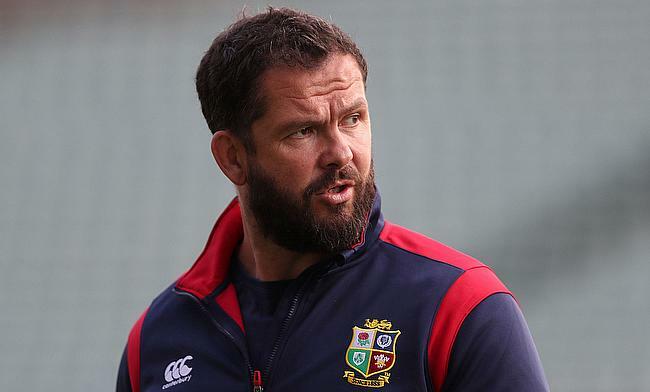 Ireland skipper Rory Best believes Irish Rugby Football Union's decision to name Andy Farrell as the successor for head coach Joe Schmidt will be beneficial for the national side. Schmidt had a terrific run with the Ireland side as he guided them to 2014 and 2015 Six Nations title that was followed by a Grand Slam during the 2018 edition. During his tenure, Ireland also managed to beat New Zealand on two occasions while also registering maiden series win in Australia and a maiden Test victory over Springboks in the South African soil. However, the 53-year-old has decided to move on from the role post 2019 World Cup to give priority to his family commitments following which the Irish board confirmed that defence coach Farrell will step up as in charge of the side after Schmidt's departure. "I think probably the thing that Faz (Farrell) does better than any other coach, he makes it feel personal for him," said Best. "He really buys into it. He stands in front of you, he's a big frame, and he speaks, and it's impossible not to like him. "But when he talks about defence, he makes you want to go and defend. If he talks about any aspect of the game, you just want to buy into it. "One of the things about being a head coach that Joe got, yes it's about all the technicalities, but a lot of the time it's about being a good man-manager, being liked and knowing how to interact with the players. "And probably there's nobody better than Faz for that. Whenever he asks you to do something, he has so much passion about it. "He is driven. It's all about perfection, it's all about being driven and trying to be better. "And if somebody gets in the way of us achieving that, we'll go past them, over them, whatever it takes." The former dual-code England international started his coaching career with Saracens as an assistant coach in 2009 and was also the defence coach of the red rose team between 2011 and 2015. Following a dismal 2015 World Cup, he was sacked from the England role along with Stuart Lancaster following which he was appointed the defence coach of Ireland - a post he will be holding until the 2019 showpiece event in Japan. "Andy is a very smart rugby player, he was when he played and he is as a coach," Best said. "When you get somebody like that and you put them into an environment like we've been in for the last couple of years, he's going to learn a lot from Joe Schmidt. "Joe's biggest legacy is going to be the coaches he leaves behind. "Once the trophies have all been packed up and the dust has settled on them, it will be the coaches, the likes of Andy Farrell, Simon Easterby, Richie Murphy, some of the players he's coached too, you see it with Leo Cullen now; that is going to be his lasting legacy."